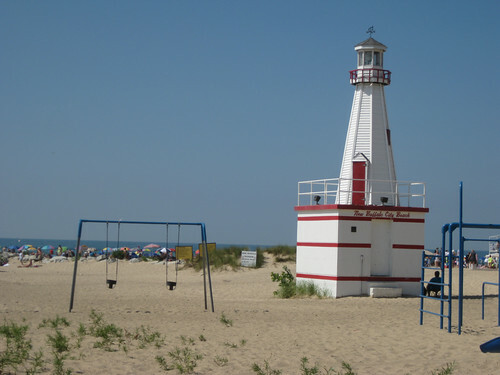 Harbor Country is full of fun events and outdoor festivities, especially in the summer. Book your next getaway at Firefly Resort around some of these more popular events. Music in the Park is a free concert series every Saturday night in Three Oaks. It starts on June 14 and runs through August 30. Check out their schedule to see when your favorite group is playing. Show your patriotic pride by participating in the Flag Day Celebration in Three Oaks! This festival runs June 13 -15 and includes Art in the Park, games, food and a parade. Celebrate America with all the Fourth of July festivities occurring in Harbor Country. There will be beach activities, outdoor rec, concerts and fireworks! The Ship and Shore Festival, August 8-10 in New Buffalo, includes a large arts and crafts fair, music, game and a 5K. If you’d like a relaxing weekend on the beach, spend your time at Firefly Resort’s private beach, located just steps from our cozy cottages! You are currently browsing the FireFly Resort blog archives for April, 2014.